After arriving back in Singapore from New York, my skin started acting up. Despite using the same skincare products, my face became really dry, red, splotchy and bumpy. It was also slightly itchy for a day or two. I googled and feel like it might be an allergic reaction, which does not make sense since I did not use anything new! 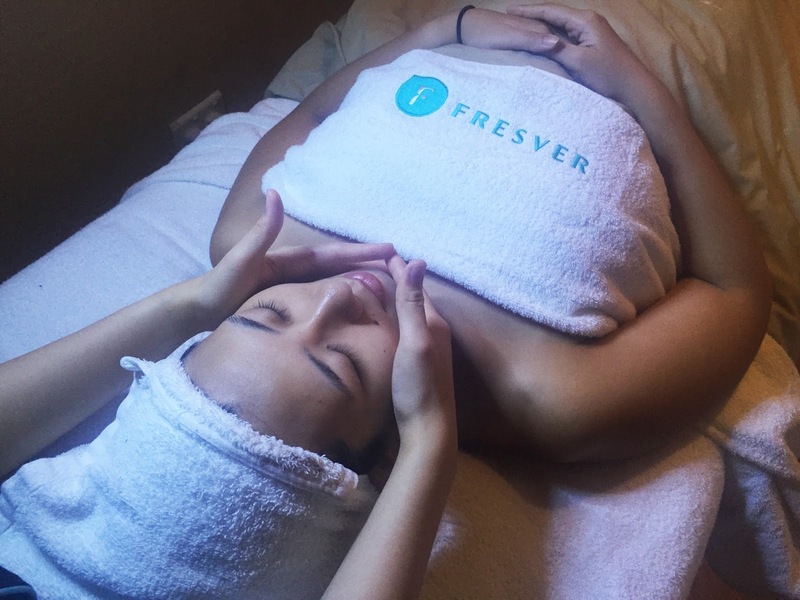 Anyway, I was in serious need of some TLC and getting a facial at Fresver Beauty seemed like perfect timing. Fresver has a good 28 years of experience in the industry as it was established in 1988, so I knew that I was definitely in good hands. They are a pioneer in the skincare and beauty industry and they are dedicated in bringing customers the latest technology and products sourced from all over the world. From what I know, they are currently using products from Skeyndor (from Spain) as well as Christian Breton (from France). They have 3 outlets currently (more details at the end, with a new one opening soon as well), but I chose the one at Far East Plaza as it was the most convenient for me. In need of help for my skin, I headed over to Fresver Beauty and spoke to the consultant about my skin concerns. After discussion and a skin analysis, she felt that it was best for me to do a soothing facial (which sounded real good considering my skin needed to calm down). I felt a little apprehensive though, as there is always a risk of making the skin worse due to my skin being hyper sensitive and irritated. 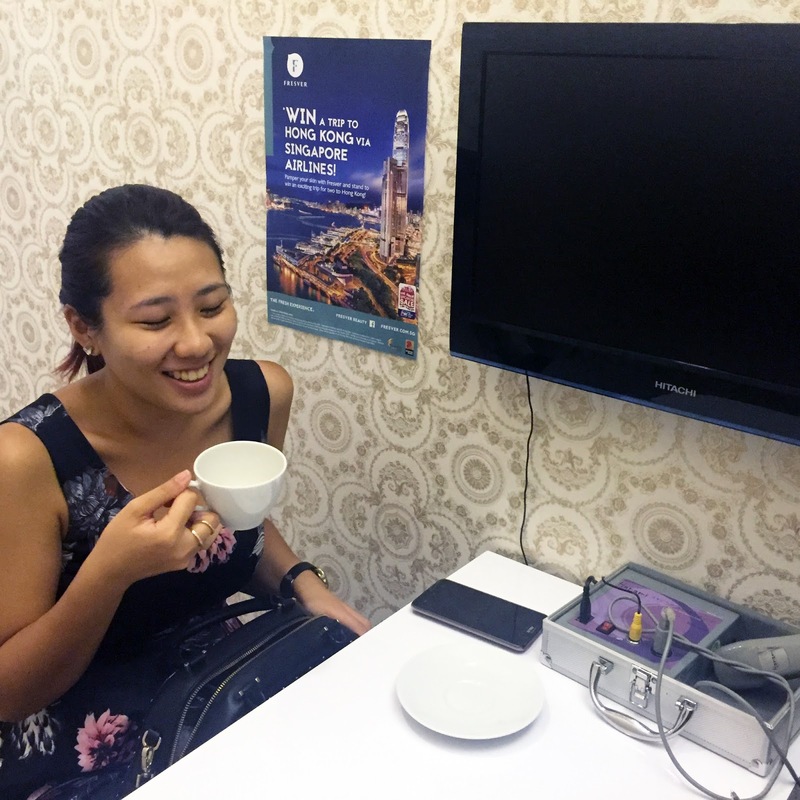 However, after listening to the procedures, I felt more relaxed and decided to try it out. The room was cozy and I felt comfortable. I forgot to snap a picture, as I got too excited! Apologies! To begin with, there was a welcome aroma ritual (using lavender - my favourite!) to help soothe and calm the senses. This was followed by a head massage and double cleansing to remove all my makeup and to prep my skin for some intense soothing. After, there was a Cryoboost Calming Treatment which was customised for me due to my current skin issues. This involved using a soothing and hydrating serum to help calm and soothe the skin while adding nutrients to my skin. Cryoboost is a refreshing therapy that is great for dry, sensitive and troubled skin (check, check and check). This utilises microsonic waves to gently push the serum into the skin. This felt amazing on the skin as it was really cooling against the skin! The icy cool plates helps to lower the skin temperature which aids in the reduction of pores and reducing redness. My therapist did half of my face first to show me a difference, and boy, was I impressed. 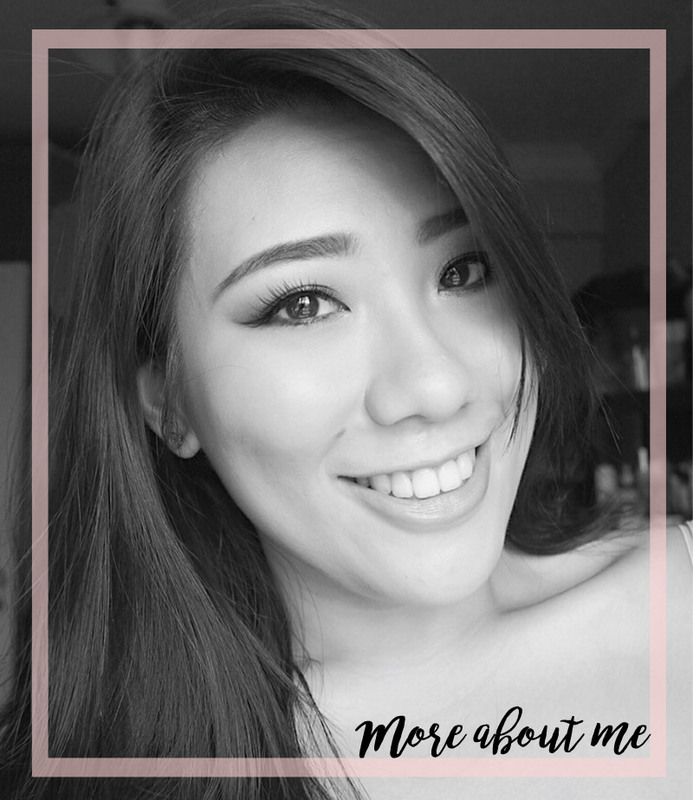 My pores (especially around the nose) were minimised and the skin was less bumpy and splotchy. My skin felt hydrated and the redness really did take a back seat. I also noticed that the half which was done with the treatment was more lifted as well (especially the area below my cheekbones and my jaw line). This was followed by a facial point massage (which I thoroughly enjoy) to help aid absorption of the product and a shoulder massage. The shoulder massage was fantastic. I can't say no ever to people attempting to relive the tension in my upper back. That area of mine is tense. Tense, I tell ya. The last step was a customised soothing mask, which felt extremely cooling on the skin. The mask got cooler and cooler on the skin after application (which blew my mind actually, I have not encountered such products before!) and boy, did that felt good. I asked about this and this basically is a cooling mask and no, there is no presence of menthol in it, so do not worry. I was worried about the presence of menthol or mint in it at first, as those are extreme skin irritants and we do not want those anywhere near our faces! After the whole treatment, I took a look at myself in the mirror and I am pleased. My skin definitely was less bumpy and the pores were much smaller. After my allergic reaction, the pores became humongous. It was no fun and a pure pain in the *** (pardon my french, but your girl was irritated). I peered at myself real close in the mirror, and I was really glad to see that the skin looked smoother and more hydrated. The redness was pretty much gone as well. The next few days, I did see my skin recovering back to normal pretty quickly and I really do attribute this quick recovery to this facial as I did not alter any part of my routine. 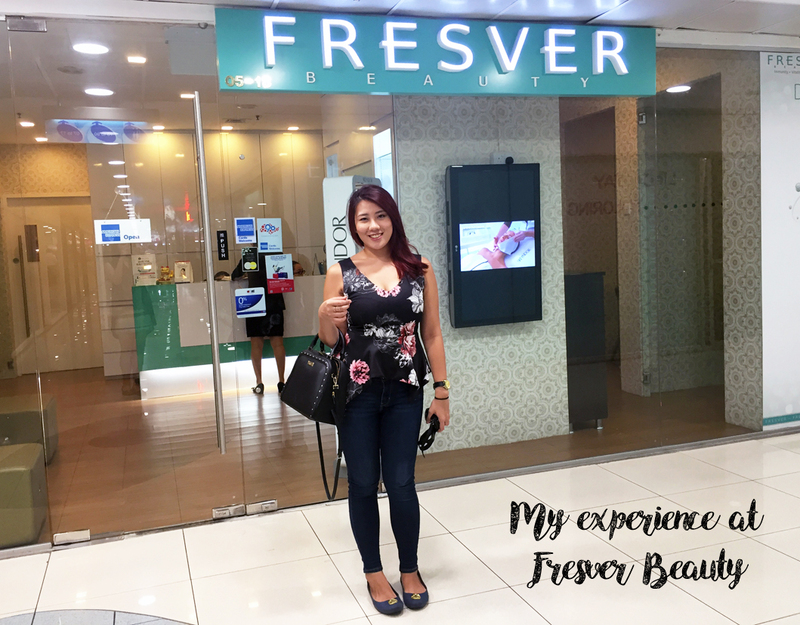 Overall, I did enjoy my experience with Fresver Beauty and can see myself heading back in the future. 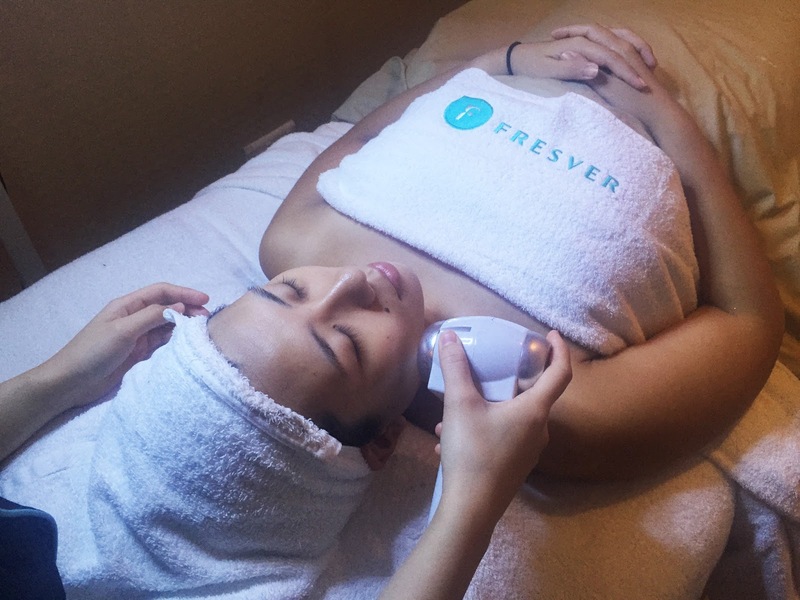 For more information on Fresver Beauty, you can check out their website or their Facebook. 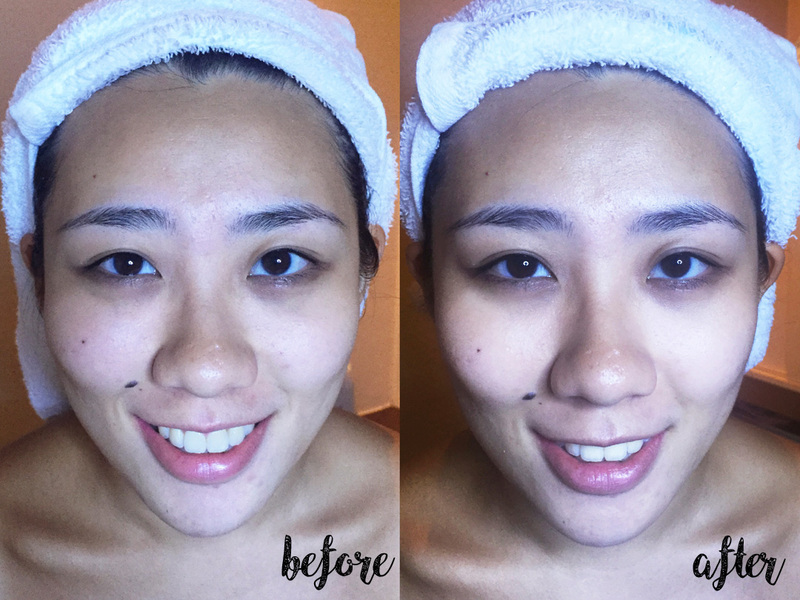 For you guys, you can try out a complimentary Cryoboost Customised Facial Treatment which is worth SGD 160! Promotion ends 31st September 2016 and is only applicable for first time customers of Fresver Beauty of ages 21 to 65 years old. For Singaporeans, PRs, S or E Pass holders only. Do let me know if you decide to check em' out! I do recommend them as the result were pretty obvious for me. ** This facial was sponsored by Fresver Beauty for a review. Only honest thoughts are shared here, with no influence from others. I am not compensated nor affliated to the brand.